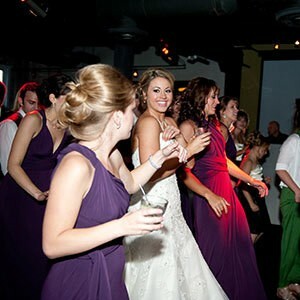 Find the best entertainment for your event through wedding DJ reviews. Every wedding needs music, and most couples choose to hire a DJ to get the dance floor moving after they say “I Do.” A wedding DJ can really set the mood of your party, which is why it’s important to hire the best person for the job. Searching through hundreds of wedding DJs can feel overwhelming, but if you do your research you can definitely find the perfect DJ who will make your big day even more memorable. 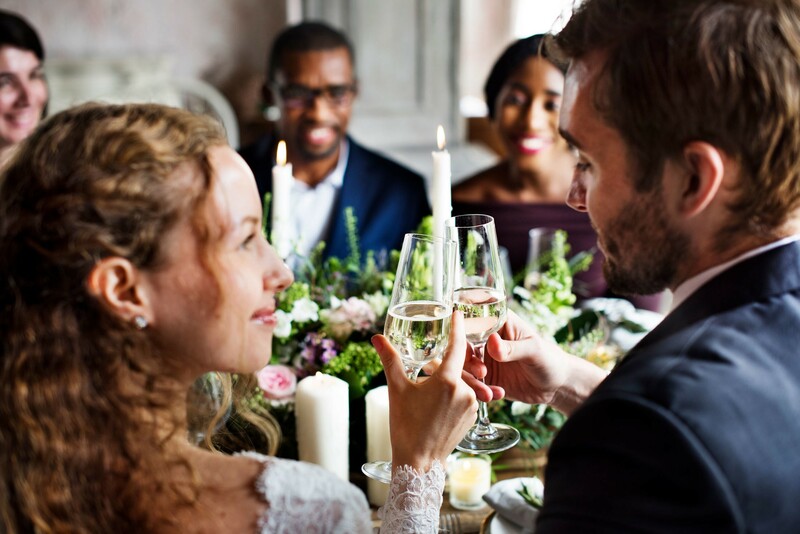 As you sit down to find your wedding DJ, there’s a small trick that will get you the information you need to make the right decision that we’re happy to share with you. As you start searching for the right wedding DJ, the best place to look is online and in the review sections of the DJs you’re considering. These reviews are going to be your number one source for getting the best information on the DJ. You can find wedding DJ reviews are often posted on popular sites such as The Knot, Wedding Wire, Google, Yelp, and even Facebook business pages of the DJ. If you have found someone you like, leave their webpage and do a quick Google search to find the sites listed above. Any legit DJ will be listed on a few wedding sites and will openly have review sections. Every DJ can make a good webpage and sell you their services, but the reviews section is where the real feedback is. Reviews are left by customers who have actually had an experience with the DJ, and they can speak to how the service or night actually went. If you’re looking for a DJ that specifies in a certain genre of music, or has a really active stage presence as an MC, the reviews will be able to tell you a thing or two about how the DJ actually performs. The more reviews a wedding DJ has, the better because if people loved their service, they’re going to want to talk about it. A lack of reviews might mean that people were dissatisfied but didn’t feel like complaining, or were okay with the service and but not compelled to write a review because it was simply mediocre. Even more importantly, be sure to sort the reviews from worst to best so you can see both sides of the spectrum. All in all, you want to look at wedding DJ reviews and see a ton of glowing feedback. When couples are happy with their specific wedding DJ, they definitely want to tell the world about him or her. Reviews are unfiltered and real, there is no way a DJ can make them up, so you know you can trust reviews over a rate page with a sales pitch. 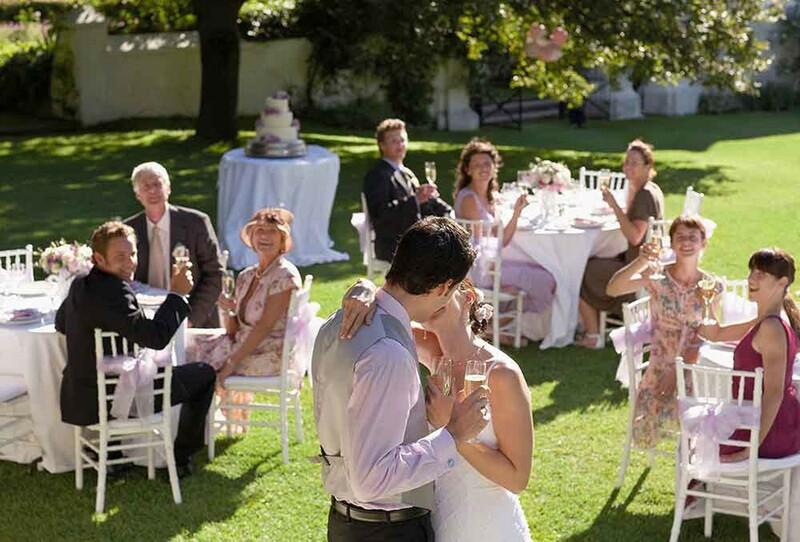 Your wedding is a once in a lifetime event, and the music can really make or break the mood. Doing your research and reading wedding DJ reviews is going to be your number one source for finding the best DJ that you can trust. As one of Chicago’s most sought after Wedding DJs, Hot Mix Entertainment and Scott “Smokin’” Silz have hundreds of 5 Star Rate reviews across all the major review sites. Check out how Hot Mix ranks here.